Linked to VI.12.1, VI.12.2, VI.12.5, VI.12.7, VI.12.8. (Strada della Fortuna 54). 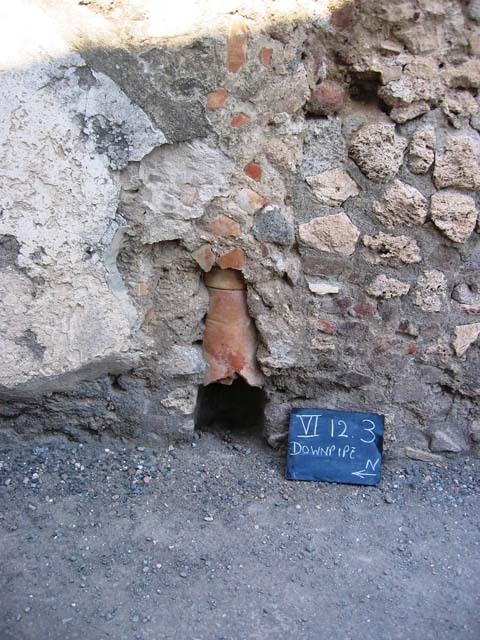 VI.12.3 Pompeii. May 2005. 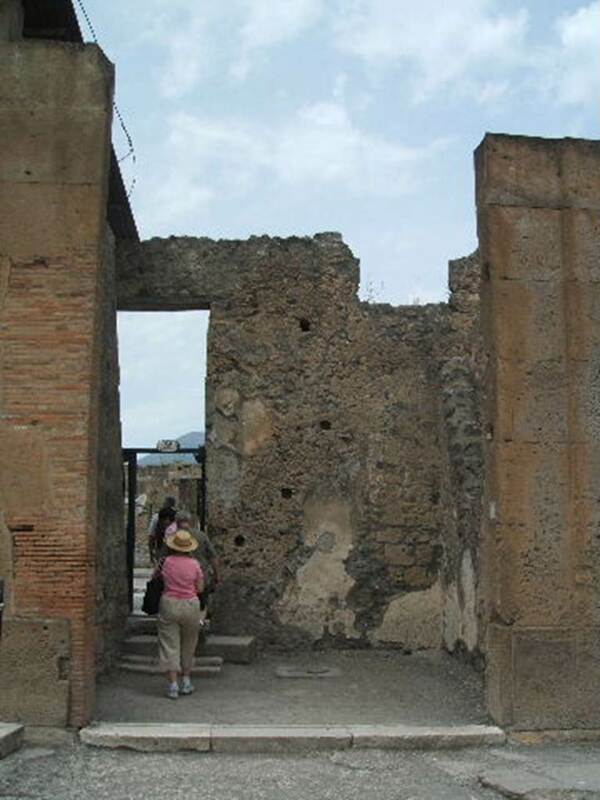 Looking north to shop entrance, with doorway in north wall to atrium of VI.12.2. VI.12.3 Pompeii. July 2008. Down pipe in east wall of shop. Photo courtesy of Barry Hobson.